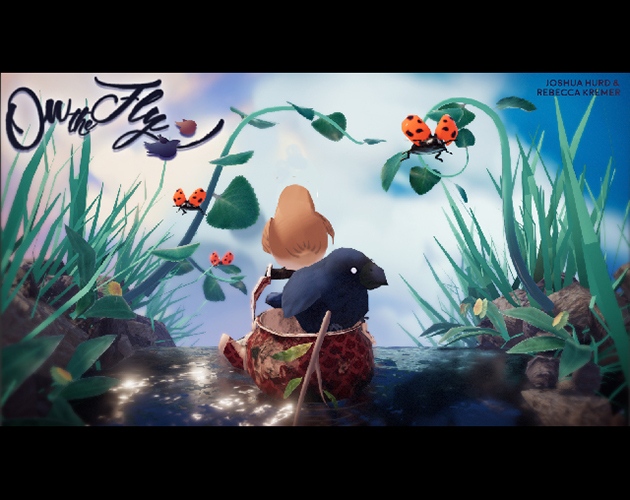 On The Fly is a combination Endless Runner & Dating Sim. 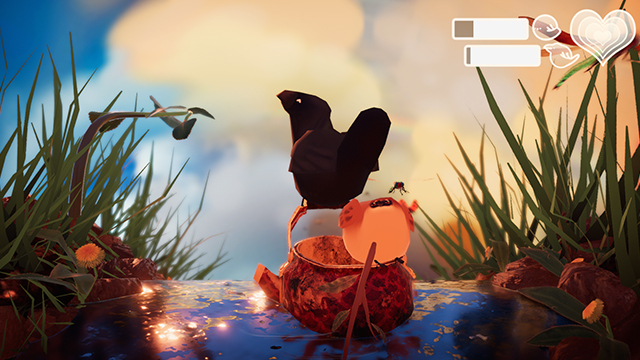 Two birds, their love forbidden by their families, escape down a river on a rusty old kettle. They’ll eat flies to stay full, dodge floating debris, and share some quiet moments together. 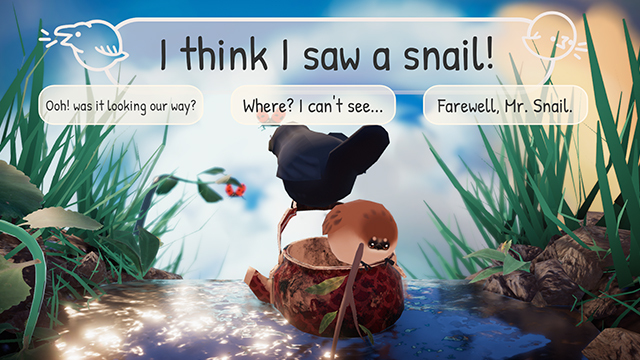 This game was designed over the weekend by Rebecca Kremer, the artist, and Joshua Hurd, the developer. This game is meant for two players at one computer, so grab a friend and get cozy! 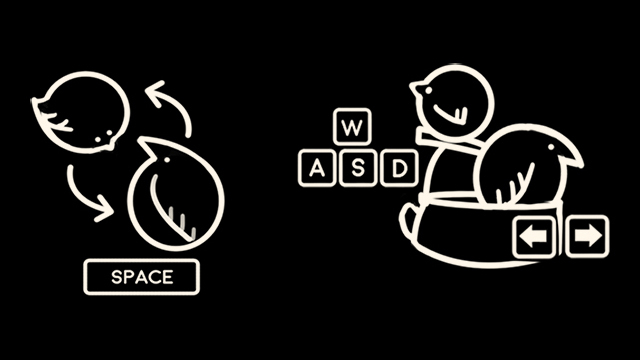 The WASD keys control Sparrow, while the Arrow Keys control Crow. To start, Crow is in charge of steering the kettle. You can move left and right. Meanwhile, Sparrow is busy snacking on bugs. Crane your neck to catch all those tasty morsels. 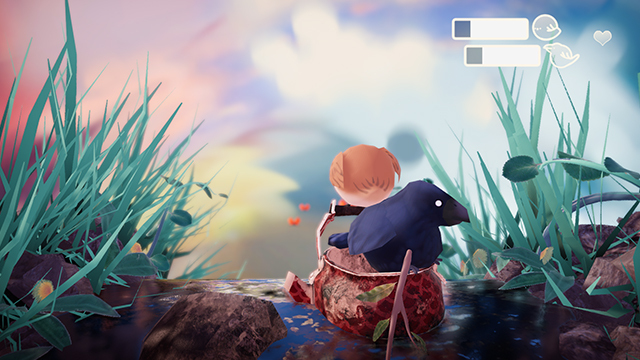 Keep an eye on your hunger meter - when Crow starts to get peckish, it’s time to trade places! Press the Space bar, and the two birds will switch. Now Sparrow steers while Crow eats. Every so often, the pair will stop to chat. Click an answer and watch their love grow. Say something awkward and they might start to squabble - but don’t stress too much. A really beautiful game. The art is just gorgeuos. Amazing job on the art ! I just don't get how to fill the heart (or is it always full ?) and it's too repetitive, anyway a great submission for a LD ! Can you make a mac version for the game? Congratulations! 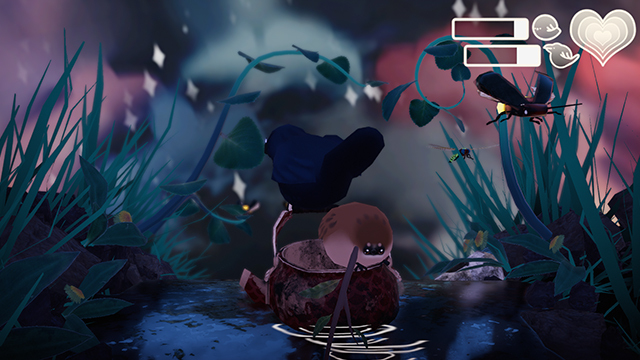 I thought this was the most beautiful game of LD41 and apparently I was not the only one! This is adorable. I know some people would say,"Hey, that's eloping!" Well this isn't just some Romeo and Juliet. (1) The game goes deeper than that, with the endless running mimicking commitment. (2) if it was shallow, then the "right" response to "How's Colin doing?" is jealousy. (3) They're birds, dammit! Let them literally leave the nest. But yeah, the game has made me go awww~ It's simple but that makes it all the more amazing what multiple choice elements and runner games--both common--can do!